We support our teacher leaders in building their capacity to lead and sustain collaborative inquiry communities at their sites. Our Teacher Leader Network brings together teacher leaders from our partner sites around the East Bay. 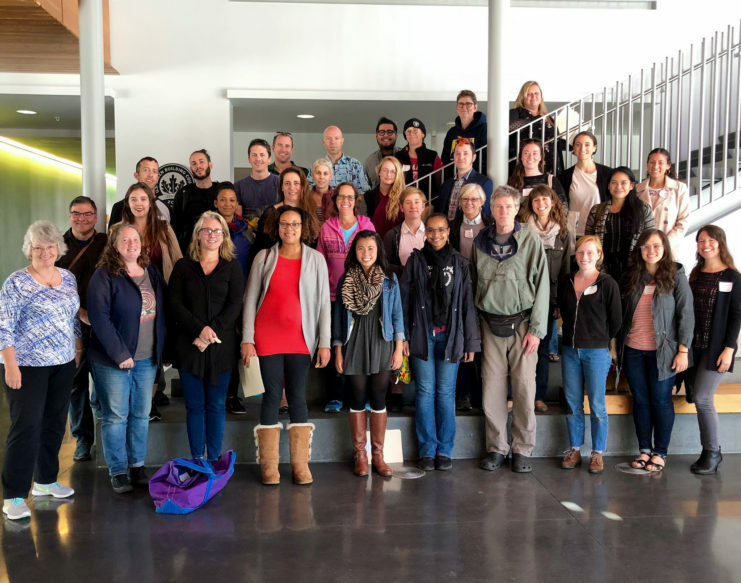 With our support, they deepen their understanding of the Mills Teacher Scholars leadership model and develop their vision for teacher professional learning that leads to equitable outcomes for all students at their sites. Over time, we support our teacher leaders in assuming responsibility for leading and sustaining the collaborative inquiry communities we have established at their sites, with the aim of teacher leaders becoming independent drivers of the work by Year 3 and beyond. Through our Teacher Leader Network we aspire to acknowledge and advance teachers’ influence and expertise. Teacher leaders also receive a yearly stipend in recognition of the time and thoughtfulness required to participate in the Network. I always find it so refreshing to come to well structured, well facilitated, meaningful professional development.